This featured project is extra special to me because I got to work with the best kind of client: my sister! 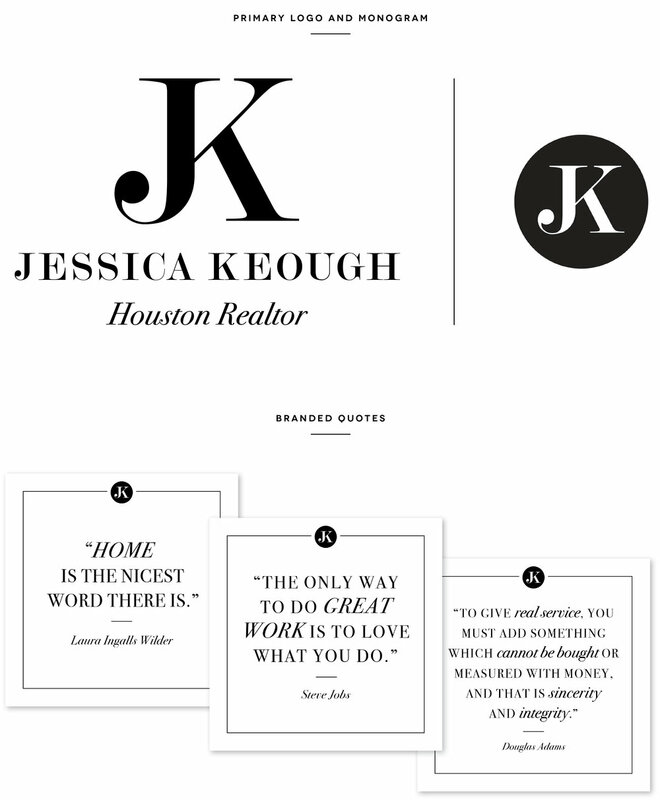 Jessica is a realtor serving Houston, Texas, and I tell ya what - if anyone knows the Houston area like the back of her hand, it's Jessica. 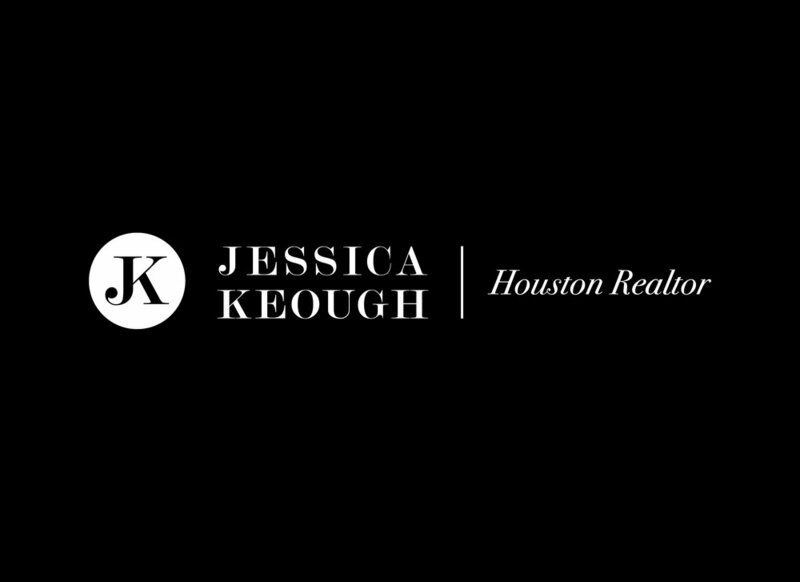 She is a true Houstonian at heart who loves her city, know's it's best kept secrets, and takes advantage of her community and what it has to offer. Living just inside the loop, she has direct access to Houston's best museums, parks, and cultural experiences, and lives intentionally, investing herself in her community with her husband and two young boys. She's been a real estate agent since 2010, and it has been fun watching her learn the business, grow in her field, help support her family, and rock her biz like a champ. This past year, we brainstormed some branding ideas and decided she needed an official logo identity and some simple brand elements to tie in her logo with her message. So, in this post, I want to briefly share the strategy behind the design and of course a few pretty photos of her logo collection and social media banners. Jessica is a no-nonsense girl with good taste, and I wanted to design something that immediately communicated professionalism, style, and class. So I wanted her logo to communicate style and elegance and really design something that's outside the box of standard real estate logos. It's pretty fun for me to work with letters and words and figure out how to creatively join them together in a single logo mark. With Jessica's initials being "JK", it almost immediately clicked with me to create a monogram that connected the two capital letters with a chic, serif typeface. Hence the monogram was born. Simple black and white color palette, bold type, and high contrast for the win! Jessica had the fabulous idea of putting together inspirational quotes that carried her message and that would be interspersed throughout her Instagram and Facebook feeds. These are meant to be on-brand and simply an extension of who she is as a realtor and what she believes in. Creating branded Instagram images is a great way for businesses to market themselves, because people often share and repost things they love to their own feeds. Great and free marketing tool! Jessica's logo is great example of simplicity at it's finest. A logo doesn't have to be over-complicated, but it does have to be well thought out and intentionally designed to communicate your message. I have loved watching her business grow and look forward to seeing how her new logo will push her farther and set her apart from the rest. Jess, you ROCK, sista. Also, be sure to check out Jessica's Facebook page to see weekly updates on her business, tips on home ownership, and community event announcements. Interested in creating a brand of your own? Send me a message, and let's get the conversation going.